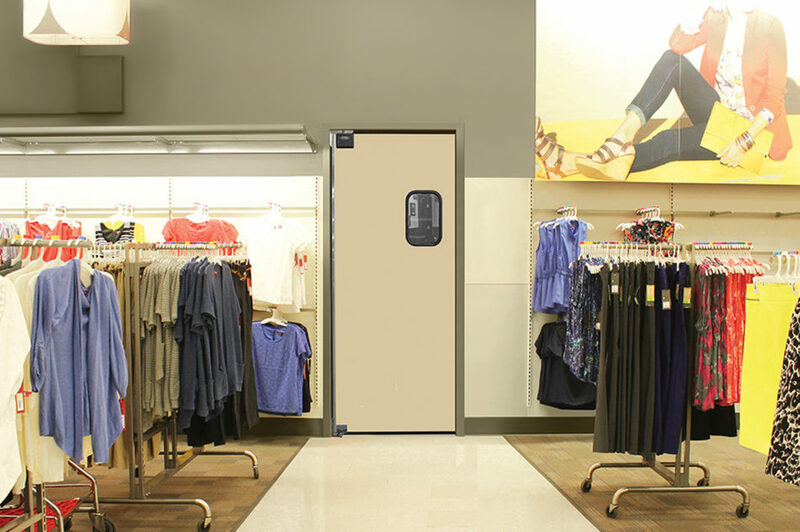 This rugged impact traffic door is the latest addition to Eliason’s line of high quality, cost-effective door solutions. The PE-500 is designed for use in a wide variety of applications, including grocery, retail, commercial and light industrial. 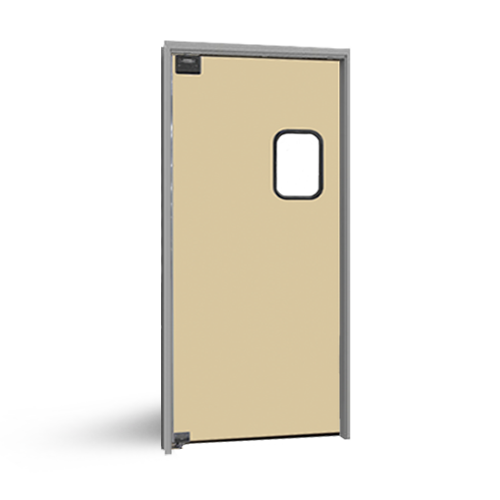 The ½” thick door panels are constructed of USDA accepted stress-relieved, high-density polyethylene with a stainless steel back channel for added strength and rigidity. The scratch-resistant acrylic vision panels are 9” x 14” set in black rubber molding. 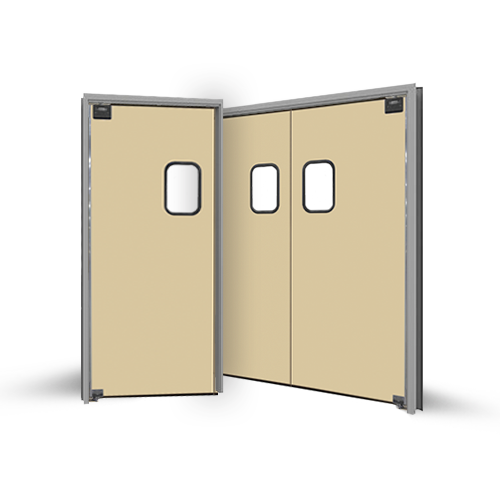 These attractive, durable door panels are textured on both sides and operate on the Easy Swing® Hinge System pioneered by Eliason and still the smoothest-operating and most reliable hinge system on the market today. 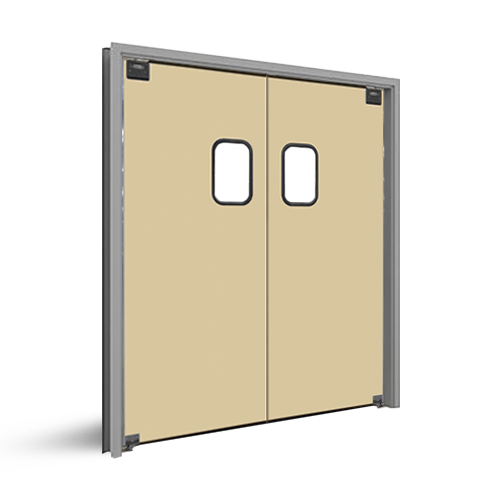 The PG-500 comes standard with perimeter gasketing.